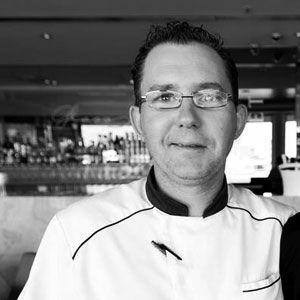 I started working for PTC at 15 as a kitchen hand and slowly progressed to an apprenticeship at 17, working out of Fishermans Wharf Tavern. The following 3 years, I worked between all PTC Venues from Pubs to Catering (Envy, Magic Millions, Fishermans Wharf Tavern). 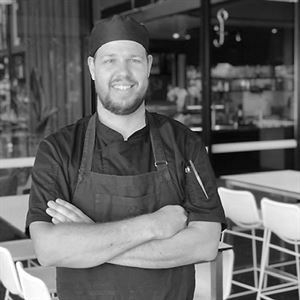 I completed my apprenticeship at 20 and was involved in the opening of Edgewater Dining and The Fish Emporium at Isle of Capri working out of Edgewater Dining for 2 years focusing on Modern Australian cuisine working under Jarrod Waring (Head Chef). In 2016, we relaunched The Fish Emporium as a fine dining restaurant with the announcement of myself as Head Chef. Originally no, I loved baking from a young age, however, only ever saw it as a hobby. I fell into my apprenticeship through just working as a kitchen hand and haven't looked back. My style and ideas have gradually changed and grown over the past 3 years working in diverse establishments, these days I'd explain my style as simple and defined, focusing on a modern collaboration of fresh seafood and Asian fusion flavours. What is your feature flavour these days? 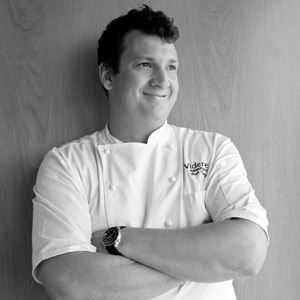 My greatest influences have always been past Chefs I've worked with over the years, taking inspiration and ideas from each individual and how they bring their ideas onto the plate. 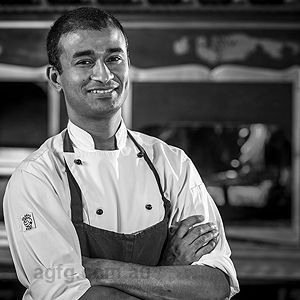 I also love eating out around the Gold Coast and experiencing ever-changing cuisines and flavours. What do you love about this business? The vast array of like-minded people with fresh ideas always being discussed in a fast-paced environment. An ingredient you can't live without? Our black mussels are always discussed amongst diners, they are served in a white wine, braised fennel, tomato broth with nduja and crusty bread. Seared scallop and prawn risotto, zucchini, soft herbs, crustacean stock and pecorino crisp. For those seeking the catch of the day while on the Gold Coast, reel yourself into The Fish Emporium, tanked within the Capri on Via Roma precinct. Arrive by boat via the canal, or by land and discover a seafood lovers' oasis netted within a sophisticated marketplace setting, offering a fresh retail section, takeaway fish and chips, sashimi bar, luxe private function room, oyster bar and resident restaurant. The spacious deck offers north-east views of the city skyline over the water and is the ideal space to begin with an entrée of Hiramasa kingfish ceviche; before delving into a signature main of Tasmanian salmon, green pea, lemon labneh, spring onion, snow peas, radish and crackle. Non-seafood lovers are still catered for with dishes like premium eye fillet, Paris mash and red wine jus.